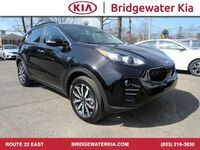 Are you looking for a compact crossover that can haul your favorite people and gear around New Jersey and beyond? Then you have come to the right place! 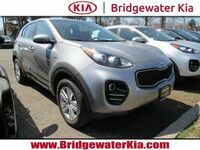 Here at Bridgewater Kia, we offer the Kia Sportage, which is one of the best-selling models from the Kia lineup – not to mention the compact crossover market! 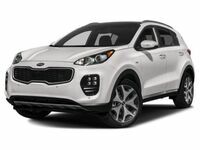 So what makes the Kia Sportage a top-seller? 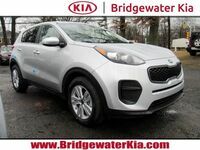 In addition to the standout styling, incredible efficiency, spacious interior, and top-notch quality, the 2019 Kia Sportage has a can-do attitude that makes it perfect for a variety of lifestyles – including single professionals, social couples, small families on the go, adventurous retirees, and more! 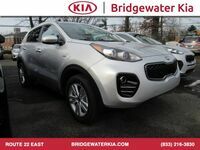 Despite its compact classification, the 2019 Kia Sportage offers plenty of space for all your gear, merchandise, and luggage. Behind the rear seats, the cargo space measures 30.7 cubic feet. When the rear seats are folded down, the dimensions increase to 60.1 cubic feet. 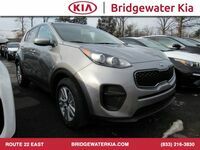 The 2019 Kia Sportage is incredibly affordable and comes in three trim options to ensure you get the perfect number of features for your budget. 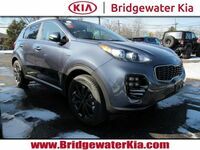 These trims include the base 2019 Kia Sportage LX ($23,750), the 2019 Kia Sportage EX ($26,600), and the 2019 Kia Sportage SX Turbo ($33,100). Seven hues are available for the 2019 Kia Sportage. These include Snow White Pearl (Sport Appearance available), Sparkling Silver, Mineral Silver, Pacific Blue (Sport Appearance available), Burnished Copper, Hyper Red, and Black Cherry (Sport Appearance available). 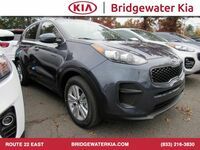 To learn more about the 2019 Kia Sportage, please visit us here at Bridgewater Kia.